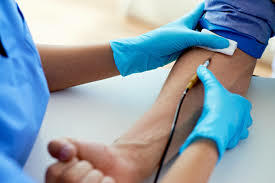 Phlebotomy is the process of withdrawing blood for the purpose of medical testing. The person who withdrawals the blood is called the Phlebotomist. 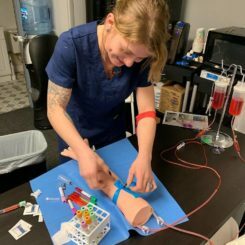 Phlebotomists are hired in hospitals, doctor offices, blood donation centers, dialysis centers, plasma centers and more. a criminal background check, and a negative TB test within the last year. doctor offices, blood donation centers, dialysis centers, plasma centers and more. 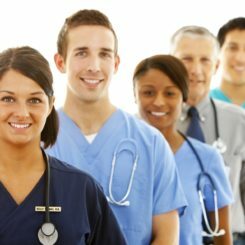 wage for a Phlebotomist is anywhere from $12.00 to $18.80. 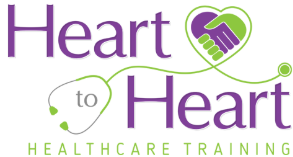 Why Choose Heart to Heart Healthcare Training? to complete all required blood-draws. successful, whether they have a prior medical education and experience or not. 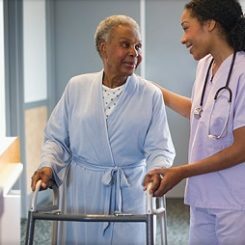 everything you need to know to safely and respectfully take care of your patients. 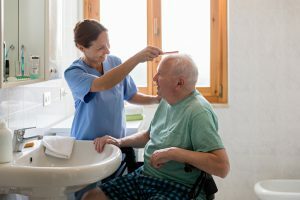 We pride ourselves in caring for each individual patient as if it were our own loved one, and teaching students the importance of doing the same.